Video: What are America’s favorite cities? Closed captioning of: What are America’s favorite cities? >>> this morning on "tooled's travel" the best cities in the u.s., every year "travel & leisure" magazines surveys the nation for the best hotels , cleanest hotels and best destinations. neela thomas, good morning. >> how do the editors pick the cities? >> we pick the 35 most popular cities to travel to, put all of the cities and 50 plus categories on our website travelandleisure.com and thousands of readers came to the website and voted and the results are live today and i'm here for the sneak peek. >> let's start out with the beautiful people of san juan , puerto rico . what did the survey reveal about san juan 's culture in. >> there's something about hot weather , gorgeous people, great beaches that makes people want to go there, and i think san juan , puerto rico , has all of that and more. you are half puerto rican . >> and half brazilian. if we put those two together, it's almost too caliente for the show. what's great about puerto rico is their love of life and food. edna in the makeup is from puerto rico and is cheering. she loves the mix of cultures, there's african, spanish, mestiso indigenous people , all together and lots of hot weather and lots of small bikinis. >> the most attractive people that you'll find in san juan . >> more reason to visit besides everything else going on there. best weather in the country, i don't think this is a surprise to a lot of people, but the sunny, beautiful san diego , california, where the average temperature is about what? you know, 80 something. >> 80 something and seldom dips below 55, and there are 283 sunny days in san diego . if you're going there, fall is an ideal time to go, surfing or swimming in the ocean, there's lots of great things to do, including going to the san diego zoo which i'm obsessed with because of their adorable pandas. inn at the park, $129 a night on balboa park and within walking distance of the zoo. >> great price too for it. taking a trip you need a great hotel of course, and the city with the best options for hotels of course would go to las vegas , nevada. >> which honestly if any city in america is synonymous with hotels it's las vegas . there are more hotels in las vegas than any other city in america. one tidbit, mgm grand alone launders 50,000 pillow cases a day. >> wow. a lot of laundry. >> that's just pillow cases, what about the sheets? >> there's a lot. lots of hotels . the great thing is they're destinations in and of themselves for casino, restaurants and shows and spas. i love lots of different hotels , the bellagio and the venetian. my new favorite is the cosmopolitan. it has the sophistication i come to expect from a new york city hotel and even though it's huge it feels very intimate. >> most affordable city goes to? >> kansas city , missouri. >> hello, midwest. i feel so great. >> kansas city is one of the cities if you have them in there you should go. it gets number one for barbecue so this is a good combination from affordability and barbecue. >> the brisket is the way to go. you have 200 fountains in the city, something a lot of people don't know. rome, italy s the city that has more mountains an kansas city . a lot of people call it the birth place of jazz, and there are tree lined avenues, art deck coarchitecture. i can go on and on. if you haven't been to kansas city you should go. >> go, go, go and the cleanest city goes to? the twin cities , minneapolis-st. paul. wintertime probably not the place to go for activities. no, you disagree? >> i disagree. the twin cities gets a bad rap for the bad weather but they're into wintertime. go there for the st. paul winter carnival. they have an ice sculpture festival they do and people go out and they snowshoe and walk outside. as long as you bundle up and have a cup of hot cocoa . any time there's opre i'm there. >> nilou motamed thanks so much. 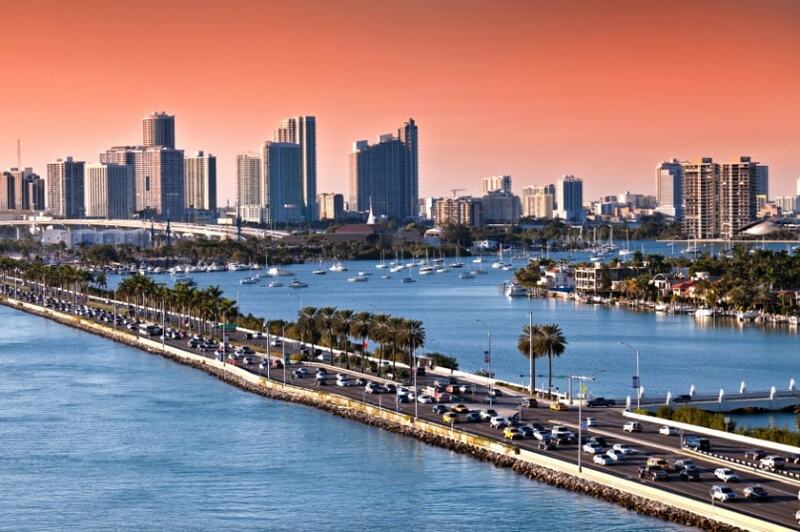 Miami ranked as the city with the worst drivers, according to Travel + Leisure readers.